By Civil War Lady, Joy Melcher ~ Your History Hostess! Updated Ballroom! Renovated Guest Rooms! Tickets will sell out quickly and we limit the number of guests to avoid an overly crowded dance floor. 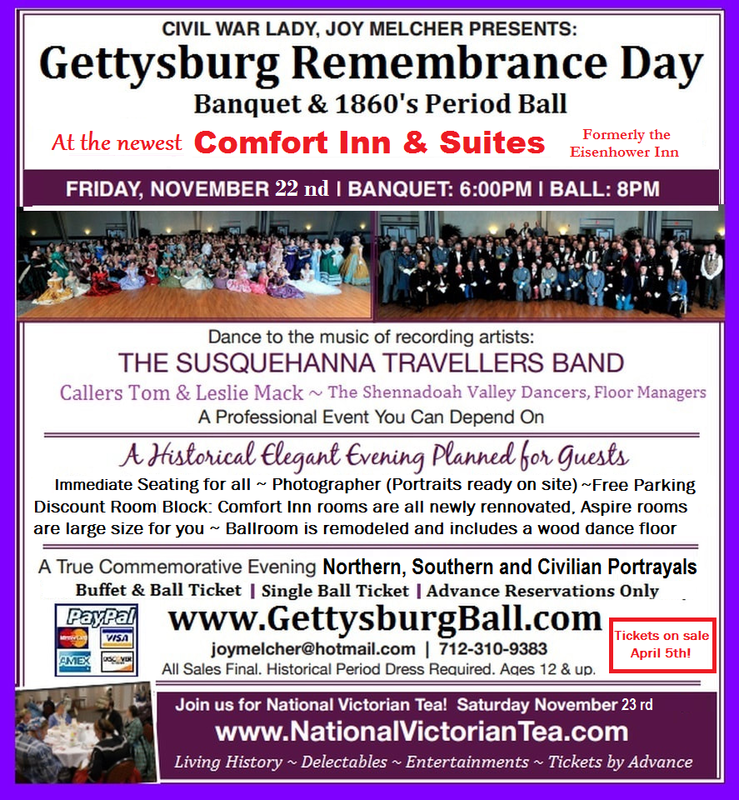 CivilWarLady.net ~ Quality Events You Can Depend on! 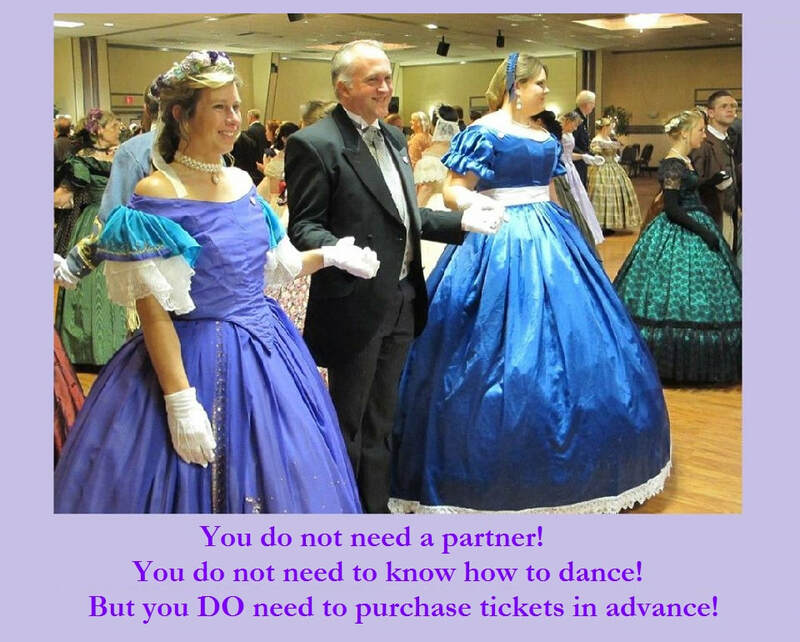 Dance Floor Managers to assist just as the original1860's Balls provided! Ages 12 & up ~ All sales final ~ We reserve the right to refuse entry ~ Period Attire Required! Unfamiliar with Victorian Period Dancing? Don't worry, Tom & Leslie Mack "call" the balls to learn as you go. You don't need experience and you don't need a partner.